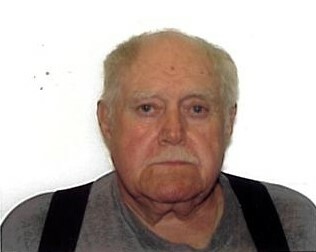 James B Flaherty, 82, of LaOtto, passed away on September 12, 2018, at his home. Born in Chicago, IL, on August 22, 1936, to James and Xavie (Benton) Flaherty. He spent his formative years in Chicago and Colorado. James moved to Churubusco in 1963 to work at Victor Oil. He founded Precision Piston in Churubusco in 1972. He still went into work everyday. James is survived by his companion of 37 years, Sandy Krider; his son, Rick (Pat) Flaherty; his daughers, Denise (Larry) Murphy, Debbie Geiger and Dawn Cramar; 13 grandchildren and 17 great grandchildren. He is preceded in death by his parents; two sisters, Elaine Oldt and Doris Wentzel. Family will receive friends on Sunday, September 16, 2018, from 2:00 p.m. until 4:00 p.m. at Sheets & Childs Funeral Home. Please direct memorials to the Noble County Humane Society.